Posted on 25, February 2016 by EuropaWire PR Editors | This entry was posted in Economy, Education, Society, United Kingdom and tagged austerity Britain on Coventry & Warwickshire, Dr Juanita Elias, Mike Fowler, Tony Conway, University of Warwick. Bookmark the permalink. Coventry, UK, 25-Feb-2016 — /EuropaWire/ — The effects of austerity Britain on Coventry & Warwickshire are to be discussed at a public meeting which will bring together local charities, campaigners and academics. The University of Warwick is organising the event which is being held on Thursday 3 March at Central Methodist Hall. Representatives from Coventry Citizens Advice Bureau, charities Coventry Cyrenians and St Basils and Coventry Trades Union Council and the People’s Assembly will be taking to the stage at the meeting which will be open to anyone. They will be discussing the hardships faced by various groups across the region such as the homeless, the young, carers, the elderly, low wage earners and women. Dr Juanita Elias, associate professor in international political economy at the University of Warwick said: “In the context of austerity and an ageing population, the crisis of care in Britain is intensifying. However, it is largely discussed in terms of rising costs of care to the state, but rarely in terms of the costs to those engaged in doing this work – a large proportion of whom are women. 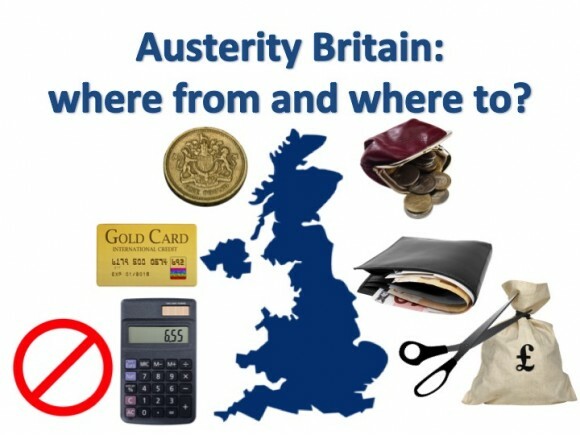 The meeting Austerity Britain: Where From and Where to? Has been organised by the Politics and International Studies (PAIS) department at the University of Warwick. The aim of the event is to raise awareness of the hardships faced by many people living in the city and Warwickshire and to find methods of tackling the effects of austerity. This month (February) it was announced that council tax bills in Coventry are set to rise by 3.9 per cent – an increase of £60 for the average Band D home. Sophie Parkes from Coventry Citizens Advice Bureau, another speaker, adds: “Our homelessness enquiries have increased by 100% from this time last year. “We know that the high cost of living, low incomes and welfare reform have played a part in this increase. Reduction in resources and services because of cuts to local government from central government have seen many more vulnerable people rely on our help. Matt King, Fair Chance, Prevention & Floating Support Service Manager at St Basil’s Coventry, which works with young people aged 16-25 who are homeless or at risk of homelessness. Mike Fowler, Chief Executive of Coventry Cyrenians, which provides services to homeless and vulnerably housed people in Coventry and Warwickshire with the objective of improving their quality of life and to empower them to live as independently as possible. Jane Nellist, Secretary of the Coventry Trade Unions Council and a member of the executive of the National Union of Teachers.